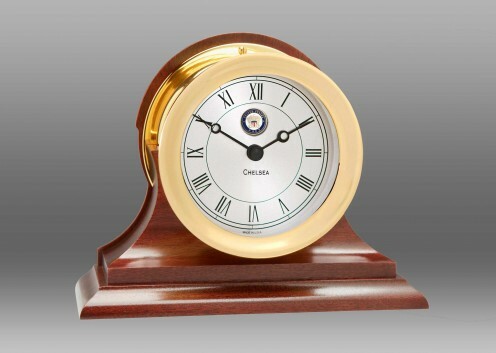 Inspired by a mariner's timepiece from centuries ago, our Boardroom Clock is a welcome addition to any home or office. This precision quartz movement timepiece features a forged solid brass case that pivots for easy viewing. 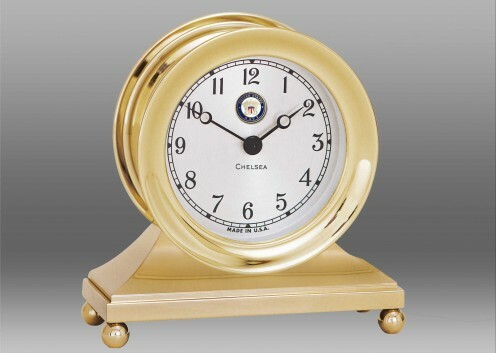 Details include a 3” dial with black traditional numerals, beveled glass and a sweep second hand. 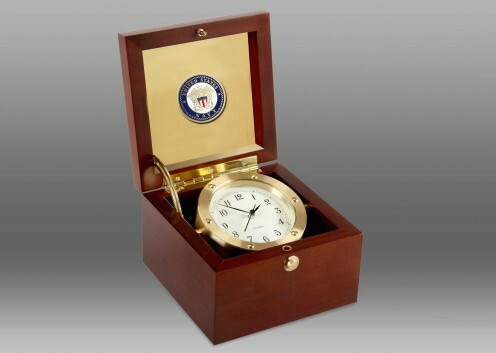 The Boardroom Clock is nestled in a handsome, paneled solid wood case, hand finished in rich mahogany, and comes complete with solid brass hinges and a brass button latch. Adding a personal touch to the inside lid of this piece is easy, with a complimentary square brass engraving plate and matching screws.